Wave  of 3 with the third wave inside it continues. 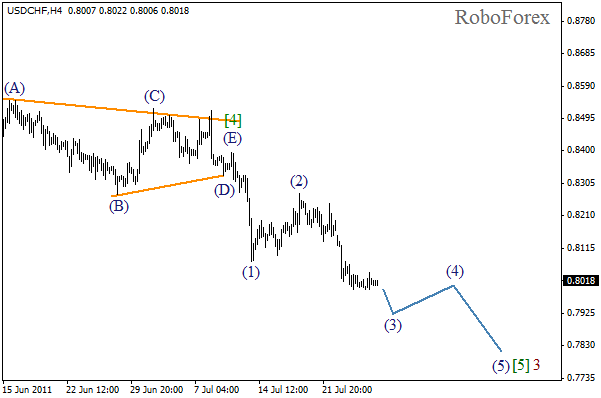 Judging by the current wave structure, we may conclude that bearish trend will continue as well. After wave (3) is completed, the correction may take place. 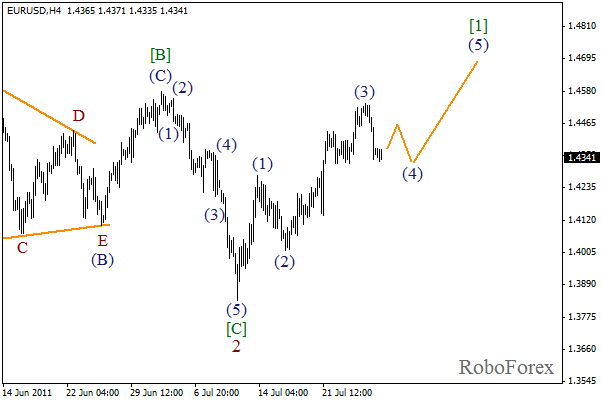 We may assume that the fourth wave is being formed inside wave (3). The local correction may be finished during the day and we’ll see wave 5 of (3) start. The forecast is still bearish. It seems like the fourth wave started its formation. The correction may last several days, but most likely it has already reached the minimum value, so the price is going to consolidate. The forecast hasn’t changed much and is still bullish. 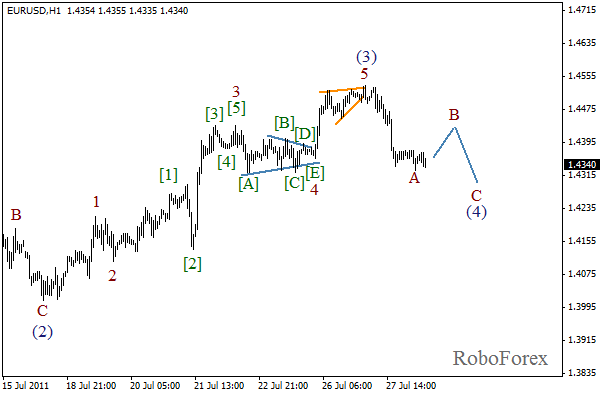 At the H1 chart we can see that wave 5 of (3) has been completed in the form of diagonal triangle pattern. 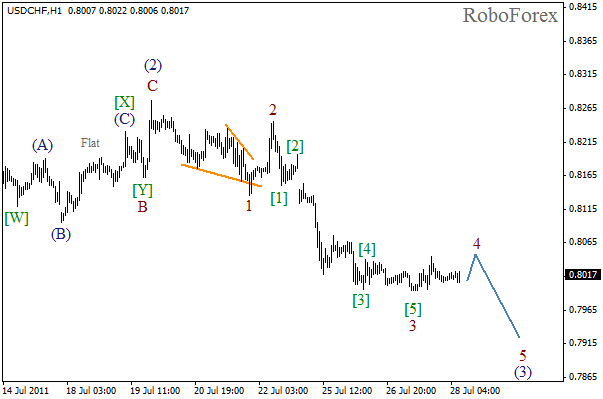 The fourth wave may take the form of zigzag pattern with wave B. The price may grow a bit during the day, but still, this movement is a part of the correction.